It’s no secret that cider-mania is sweeping the country, and the City of Brotherly Love is right on trend when it comes to the refreshing beverage. A daunting number of bars and restaurants to choose from in the city can make it tough to decide where to stop for a top-of-the-line cider. Lucky for you, we did the research. 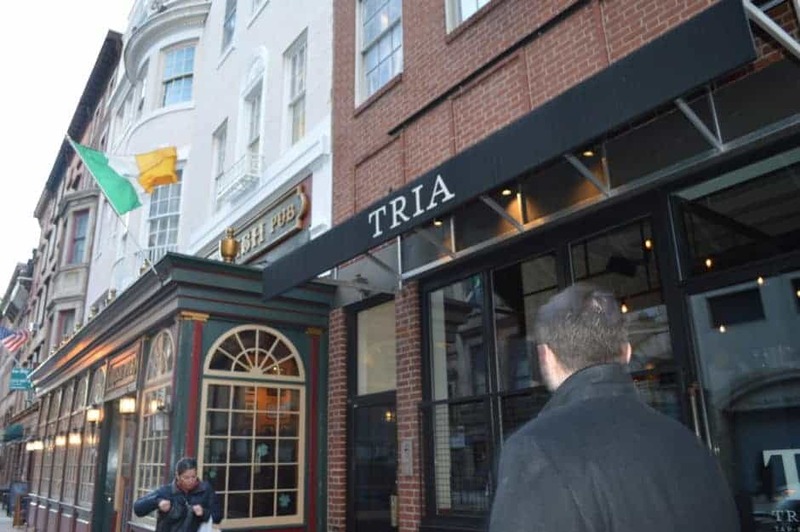 Tria Taproom (2005 Walnut St.; 215-557-8277) serves up some of the best draft beers and wines in the city, which is no surprise because they were recently named to Draft magazine’s “America’s 100 Best Beer Bars, 2015” list. But, they also have two tap lines dedicated exclusively to cider at all times. I sat down with general manager Logan Ayliffe to discuss cider’s quick rise in popularity, the future of the beverage, Tria Taproom’s commitment to integrity and more. 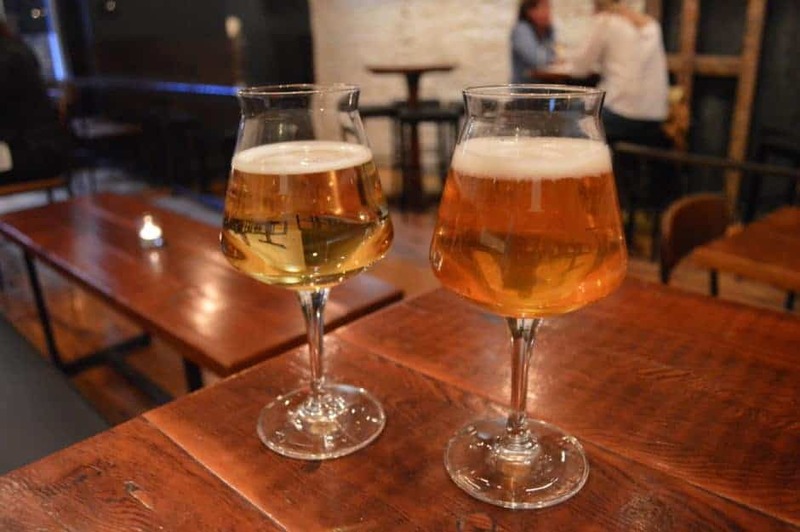 Cider Culture: Has Tria Taproom noticed a big boom in cider drinkers? Logan Ayliffe: Absolutely. It fills a really particular role as an alcoholic beverage in that it’s not as strong as wine or a cocktail and not as filling as a beer—but it’s refreshing. It’s the perfect post-work drink. Do you think the gluten-free aspect of cider contributes to its recent popularity? It’s no coincidence that the trend in the upward mobility of cider happened around the same time as the trend in gluten-free diets. That’s a huge part of it—and not just for people that actually have Celiac disease, but also those that are gluten sensitive or just trying to reduce it as part of a lifestyle change. How do you accommodate the uptick in gluten-free drinkers? At the Taproom specifically we always have two lines dedicated to cider. It’s best to have it on lines that have never held beer. You don’t want lines that have had gluten in them if you’re going to serve cider, especially if you want to be able to say to a customer, “Hey, it’s a gluten-free option.” You want to be ethical about it. How has cider changed over the past few years? Cider is so versatile right now. For a while, mass-market cider was the name of the game. I would feel uncomfortable even calling a lot of that stuff cider because they using concentrates shipped over from China. Now, people are doing spontaneous fermentation with wine grapes, they are doing barrel aging with special ingredients and adding fruit to it. It has the versatility that the craft beer movement has been chugging along with for about seven or eight years now. What types of ciders does Tria Taproom serve? I generally try to have on one cider from the U.S. and one from any of the main cider regions in the world, which usually for us is going to be Spanish ciders from either Basque or Asturias, a French cider, usually from Normandy, or a U.K. cider. Those are the three big, old-world, old-school regions for cider. It’s funny, though, one might think because a lot of these other countries have centuries-old cider-making they would be the most popular with customers. But, it’s the crazy American cider stuff that really flies out of here. What are some of your favorite local cideries? My favorite cidery in Pennsylvania is called Frecon Farms—they are doing some really interesting stuff. Take their Crabby Granny cyser for example, which is a hybrid between cider and mead. They use crab apples and Granny Smith apples combined with honey, which is a fermentable sugar. The honey increases the alcohol of the beverage without increasing the body. It’s 10% alcohol, but you’d never know it. We serve it often at Tria Taproom. What about your favorite individual cider to drink? My favorite? Also from Frecon Farms. They did one called Wassail, which was a combination of a special mature version of the Crabby Granny and Apfelwein, their version of a German cider. It was a blend of those two, and that to me is my favorite cider I’ve ever had in my whole life. The name, Wassail, is an homage to the tradition of wassailing—which is when people would go out into the apple orchards with mugs of cider and sing songs to the apple trees in order to encourage a bountiful harvest. It’s awesome. You know a lot about cider, obviously. When did your love for it start? Being a general manager at Tria Taproom, I wanted to be able to be passionate and enthusiastic about all of our products. But it is really my partner, who works at Laurel here in the city, who is the cider fanatic. 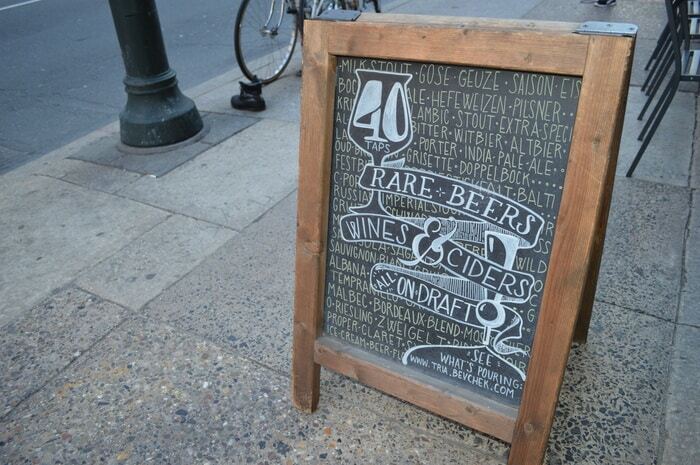 Anytime we’re at a restaurant and see some cool or crazy cider on, we’re going to get it. She really got me into it. So why should I choose Tria Taproom for my next cider? We don’t bring in products just to make a bunch of money or hop on a bandwagon. It’s not what we do here. We bring in the stuff that we are genuinely passionate and enthusiastic about, and that applies to every single employee. The reason to come to Tria to get a cider? You know it’s going to be ethically served on clean lines, it’s going to be fairly priced and you’re going to be able to sit down with any of the bartenders and have a half-hour conversation about cider and its history. It’s something special.